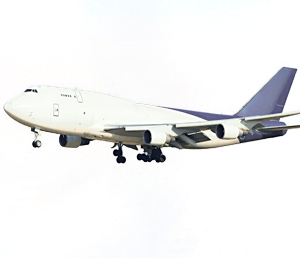 Are you looking for safe and quick air freight services to Uzbekistan that does not cost the earth? Well, you should then opt for the services of an experienced and competent air freight service provider who can get your cargo to its destination anywhere in Uzbekistan fast and in perfect condition without creating any hassles for you. 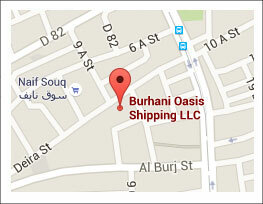 And, Burhani Oasis Shipping is the answer to your needs. One of the fast emerging International freight transportation providers based in Dubai, UAE, we offer reliable and efficient direct and consolidated air freight services to Uzbekistan from Dubai and via Dubai. At Burhani Oasis Shipping, we ensure that our customers have access to the best professional air freight service, customized to their needs and at rates that are cost effective. With our network of global agents and long standing associations with many of the major airlines, we are able to offer you low prices, fast transit times and flexibility to meet your specific freight requirements. Our team of well qualified and experienced staff is available to make the whole process a simple and hassle free affair from the picking up of your cargo to delivering it to the desired location in Uzbekistan. Whether it a simple document, cartons, packages or parcels that originate from Dubai or transit via Dubai and has to be delivered in Uzbekistan, our team at Burhani offers full assistance that you require to enable the smallest to the largest shipments reach its destination without damage. And for customers having time-sensitive shipments, we take every care to ensure that the cargo reaches its destination on time. With close to a decade of experience in the freight transport industry, Burhani Oasis Shipping is the right choice when it comes to affordable and dependable air freight service to Uzbekistan from Dubai. With Al Burahani Oasis Shipping taking care of all your freight requirements from Dubai to Uzbekistan, you can be sure that your freight will be delivered to the right place at the right time without problems. Contact us today and let us assist you in meeting your specific freight requirements. Get a free quote now.